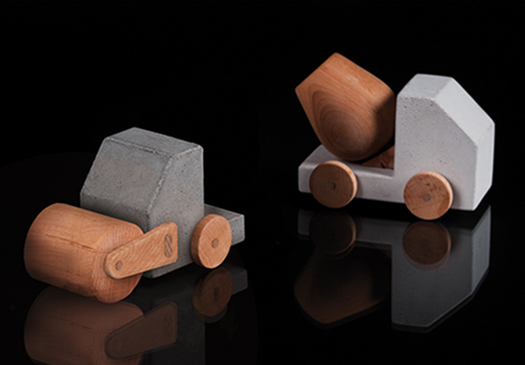 Here are a gorgeous toy cement mixer and a steamroller from Studio Paulsberg of Dredsen. They are made from actual concrete. The word for concrete in German is Beton, just like in French. You can learn these words now, but you should probably write them down. When the kid learns to throw, and beans you in the brain with a small handmade concrete toy, you will probably have to start learning the basics like speaking all over again. Assuming you come to at all.